↑ Moser, Charles. 1992. 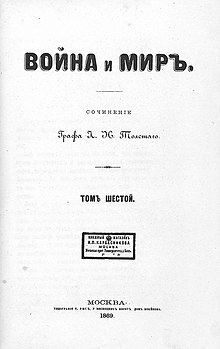 Encyclopedia of Russian Literature. Cambridge University Press, pp. 298–300. ↑ Briggs, Anthony. 2005. "Introduction" to War and Peace. Penguin Classics.